I hadn’t been over there in a while. Looking good… looking really good. 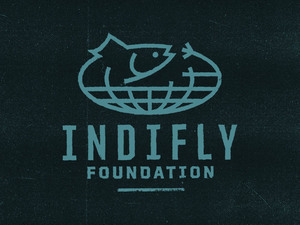 This from an epic story about traveling down to MX in a veggie oil powered van to convert the locals and find fish. We first thought that the U-joints were bad, but eventually determined that we broke the transmission mount and that the entire driveline was getting torqued upward. Mexican’s are very resourceful people and at a small repair shop in Cabo they were able to find our exact part within 30 minutes and had it installed in no time flat, which prevented Chris from having to tolerate the local dog population. Mexico is nice. I like it there. I haven’t fished for bones there, sadly. My time has been spent throwing for Jacks on the Pacific side of things. I’d love to fish the bonefishy side though and this little vid is a nice invitation to check out Cozumel. This thing made the rounds, showing up on both Midcurrent and Moldy Chum… still, if you missed is somehow, here is a little vid about a couple guys getting into some pretty virgin skinny water somewhere near the Belizean/Mexican border (slightly on the Mexican side, it seems). Costa de Cocos lodge is down that way… I’m guessing it is nearby. For my money, nothing beats wandering around in ankle depth water and targeting tailing Bonefish. via Paul Procter Fly Fishing. I must say, that fish is bigger than I thought MX bones got. I love Mexico, I really do (except when it comes to soccer). Don’t be afraid of Mexico. No one has been shot on a bonefishing flat. The drug violence is focused on the first word… “drug.” So don’t freak out. Yesterday was a busy day… went down to Monterey to the aquarium which is always a good time and then in the evening I had to do some work. That left me a bit out of time to do the stuff I normally do… like look for stuff to put on the blog. Youtube came to the rescue. Xcalak is what I turned up… if you had a really good arm (or a cannon) you could hit Xcalak from Belize, where I’ll be in November. I’m sure the guide from this trip would not like to have his fish size estimation skills down in video… what he says is “5 pounds” just isn’t… it isn’t close. It might be 2.5, but it isn’t on the good side of 3, I’d say. 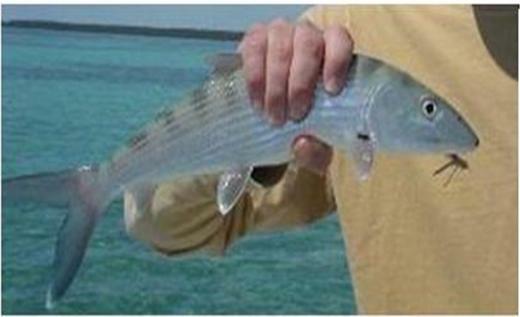 Bonefish are great fish… wonderful fish, they don’t require embellishment. I urge you all, don’t add a pound and don’t do the extended-arm-perspective-trick in the photo. It cheapens the fish. I’d love to catch a bunch of 2.5 pounders… in fact, I may just do that. I won’t call them 5 if they aren’t… I don’t need to… I like 2.5 pound bonefish. Basically, if you are going to head to Cancun or Cozumel, bring a rod… just bring a rod! Enrique, hopped out and indicated for me to get my gear ready which I quickly did. Enrique closely inspected all my knots and then wanted to see my fly box. He chose a size 8 tan Crazy Charlie and knotted it on with a non slip loop knot. The speed with which he did this told me I was in good hands. 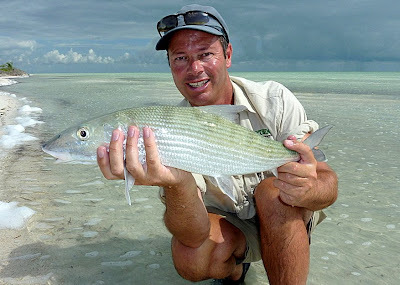 via Cozumel & Cancun Flats Guiding & Offshore Fishing – A Cozumel Bonefishing Adventure. Well… look at that… a bonefish vid from Puerto Penasco in the Sea of Cortez… You don’t see anything ever a lot of reports about bones in the Sea of Cortez, tucked in there behind Baja California. Really, I tend to think of Rooster Fish and trips put together by Gary Bulla. This fish is hardly a bruiser… not even close to really even an 8 wt. class fish, but it does show that they can turn up in some places you might not expect them. Pacific Coast bones are a scarce commodity, really. While they get massive in the South Pacific and around Hawaii, the bones of San Diego are rather smallish and the bones of Puerto Penasco (or really, THE bonefish of Puerto Penasco) seem similarly diminutive. Probably still a place to pack your 8 wt., but probably for other species. I saw a really cool video posted on Moldy Chum (that guy posts so much quality stuff on there, it really is mind boggling) from a guy named Trapper Rudd. Turns out the guy has an outfitter and a mostly forgotten about blog. One story on the blog was about the trash that washes up on the beautiful beaches of Mexico and the mystery of the single shoes. Interesting. As I write this the Gulf Coast is bracing for that oil slick to hit. Makes me a bit sick to the stomach to think what it will do to some really beautiful country I have never had a chance to fish. Let’s shed a tear and raise a glass to the Gulf Coast and find a way to help. A nice little vid featuring bonefishing around Cozumel… one of those places you might head with the family for vacation… bring your rod! Oh bonefish… I wish you lived with carp and stripers. Just say’n.